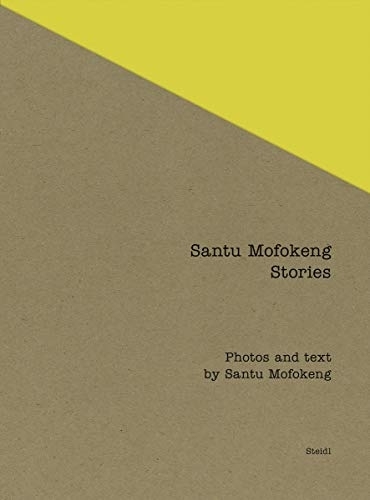 Photographs by Santu Mofokeng. Edited by Joshua Chuang. Steidl, Gottingen, Germany, 2019. 1046 pp., 551 illustrations, 9½x12½". Heralded for his nuanced portrayals of township life in South Africa, and widely celebrated as 'the spiritual painter of South Africa's body politic' (Aperture), Santu Mofokeng (born 1956) first made his name as a member of the Afrapix collective, then as a documentary photographer and finally as an independent artist. His groundbreaking Stories series is the result of a multi-year collaboration between the photographer, bookmaker Lunetta Bartz, editor/curator Joshua Chuang and Gerhard Steidl. Together they have carefully mined and distilled over 30 years of work into 18 definitive 'stories' that are sharply edited, simply presented and richly printed in an oversized format that recalls the golden age of picture magazines. The stories range in subject from the zealous expressiveness found in Train Church and Pedi Dancers to the contested spaces of Robben Island, Trauma, and Landscapes and Billboards. In addition to the volumes previously published by Steidl, many pictures appear here for the first time. Limited edition of 1,000.